What are the right boots for the big hike? One of the main concerns before going on either a short hike or the hike of your life is how to choose the right footwear. Google search for “hike footwear” will show you more than 5.5 million results with all the best boots you can choose from. Some sources will say that you must consider Vibram sole, Gore-Tex upper, all types of leather uppers, one or another brand, etc. But the truth is that even the perfect shoes will not hike themselves. My 14-year-old friend once finished a 150km hike wearing the basic Converse All Stars sneakers. And trust me, her face in the end was just as happy as mine. So, if you feel that Crocs is your best choice – got for it. Go even if you feel that your flip-flops will be enough. You will have enough time to contemplate about your footwear while you walk. Magnus Hedström wrote in to tell us about the video he’s just created of his 2015 Lycian Way walk. We took at look at it and it beautifully captures the essence of the Lycian Way. He’s posted it to YouTube. He also told us: “Amazingly beautiful area, friendly people, good food and stunning weather.” We couldn’t agree more. He also noted, though, that the trail could be rough at times and he had trouble finding his way on occasion (a common complaint and the primary reason we created TrekRight). 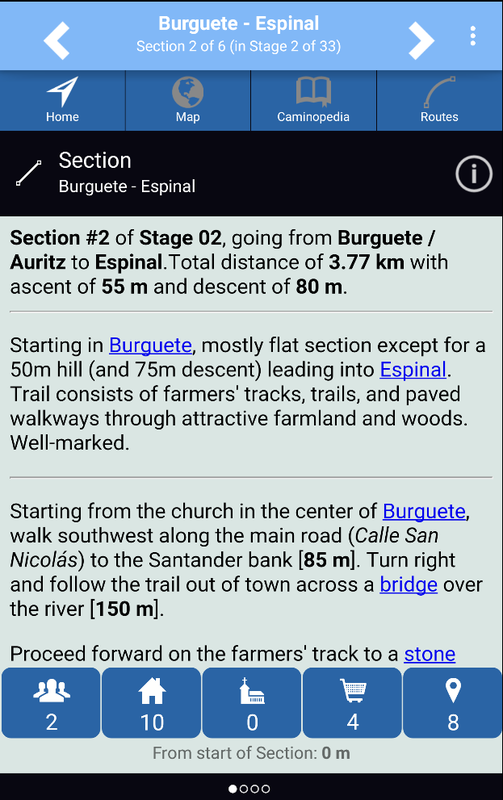 Today we released a very large content update for the Camino Francés involving more than 60 newly added or updated albergues, and many other tweaks and improvements. 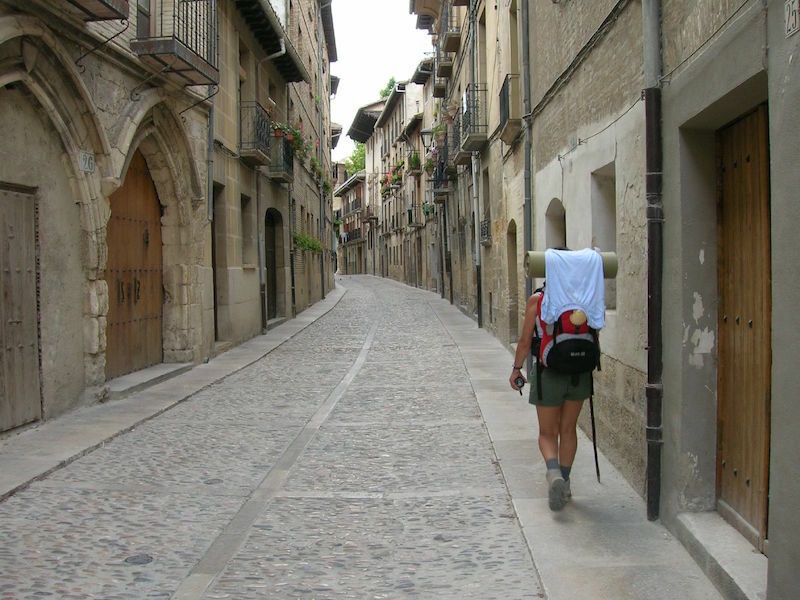 Our thanks to the many people who sent us feedback on albergues and other Camino-related items. Your help is much appreciated! Our extra thanks go out to Jason Richardson, Sally Grimmett, and Sergei P. who all went above-and-beyond in providing amazing feedback. TrekRight – Android Versions Now Available in Google Play! We’re happy to announce that TrekRight is now available for Android phones and tablets through the Google Play store. 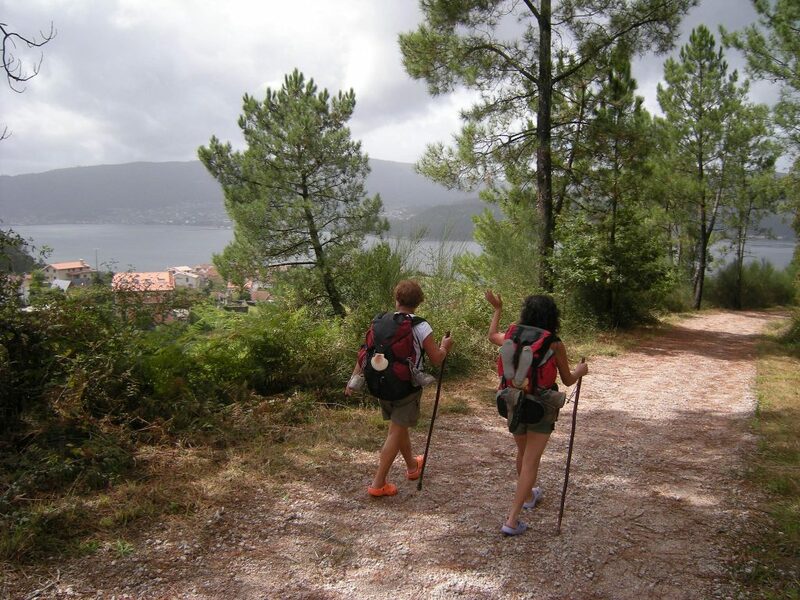 Apps are available for the Camino Francés, Lycian Way, and Cotswold Way long-distance trails. There’s much more, of course — TrekRight is a very comprehensive app designed to help you focus on simply enjoying your walk. All feedback on TrekRight is highly appreciated! Tell us what you like about TrekRight. Tell us what we should improve. Your feedback helps us make TrekRight better. We got some great feedback today from Lycian Way hiker Manoel Morgado who just finished the amazingly beautiful 3-day section from Myra to Finike. This 38.6 km portion of the Lycian Way involves climbing and descending more than 2,280m, some of it very steep and/or rugged. It’s an exhilarating portion of the trail. At this time of the year, it is particularly challenging as there can still be significant snow at the higher elevations. Descending from Belören towards Demre, April 2013 – Photo by Altug Senel. We are back from the 3 days in the mountains (Myra to Finike) and once more we have to thank you because if it was not for TrekRight we would still be there in the woods looking for the way. From above 1600 meters there was quite a lot of snow and it was almost impossible to find our way. Then we used the app’s directional compass telling us where to go and eventually we found, over and over, one of the marks. Camping at Alakilise was wonderful. It is not everyday that one camps at a 1700 year old Roman church… It took 5 hours from Myra to Alakilise, very hard 8 hours from there to Belos ruins and 3 from there to Finike. I wouldn’t recommend anybody to do this 3 day trip without your app since there is still quite a lot of snow covering most of the marks. But even before that on the way up it is very easy to get lost and getting lost there can be quite dangerous… We put a few dozen cairns on the way but even then it is not easy. Regarding the new ‘official’ section going into Finike: This way is not just very well marked (the best so far with new signs at each 3 meters or so) but very beautiful and different. For quite a while it follows a canyon on a dry river bed that is spectacular! Manoel is a veteran trekker and mountain climber, leading tours and expeditions around the world. He’s been generously providing us with helpful feedback on his hike of the Lycian Way. Note: there is nothing technically difficult about the Myra – Finike section other than a lot of ascending and descending. However, if you aren’t experienced with mountain hiking you should definitely wait until closer to summer when the snow has largely cleared before doing this portion of the Lycian Way. It is easy to bypass this portion and continue on from Finike (or from Myra if you are walking westbound). Approaching Belören from Zeytin, April 2013 – Photo by Altug Senel. Great view between Alakilise and the highpoint on the Myra-Finike section, April 2013 – Photo by Altug Senel. Walking towards the highpoint of the Myra-Finike section, coming from the Belos ruins, April 2013 – Photo by Altug Senel. Walking on the forest trail between the highpoint of the Myra-Finike section and the Belos ruins, April 2013 – Photo by Altug Senel. TrekRight v1.8 Submitted to App Store! 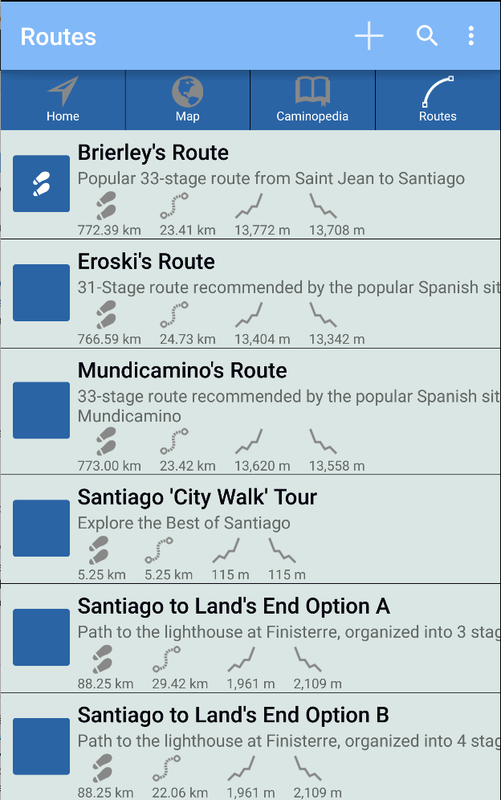 TrekRight version 1.8 has been finished for both the Camino de Santiago and the Lycian Way apps. New versions of both have been submitted to the App Store and are simply waiting on review / approval by Apple. It normally takes 5-7 days, so the apps should show up in the App Store sometime around this weekend assuming there are no issues. This major release adds significant functionality to TrekRight, fixes a few bugs, and includes updates on much of the content. We recommend everyone update to this new version. Note: When you update TrekRight, all of the ‘reference’ information will be replaced with our updated content. However, your own data is not affected. Thus, any notes you’ve added or any routes you’ve defined or modified will still be there. The same applies to any ‘Ratings’, Flags, or other values that you can change (user information is stored separately and thus is not affected by updates to the app). 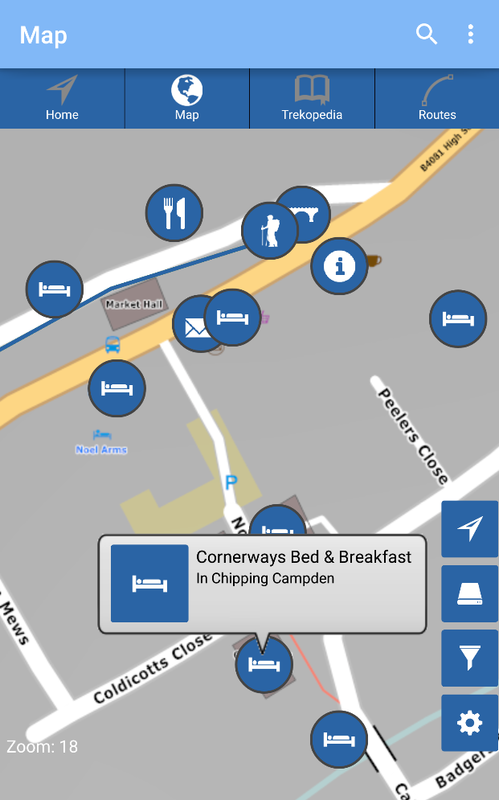 For the Camino version, we’ve created an in-depth ‘city walk’ of Santiago de Compostela, including a route that appears on the Map, details about just about every notable attraction in the city, and so on. There’s also an ebook version of the guide available (free) here on the website. 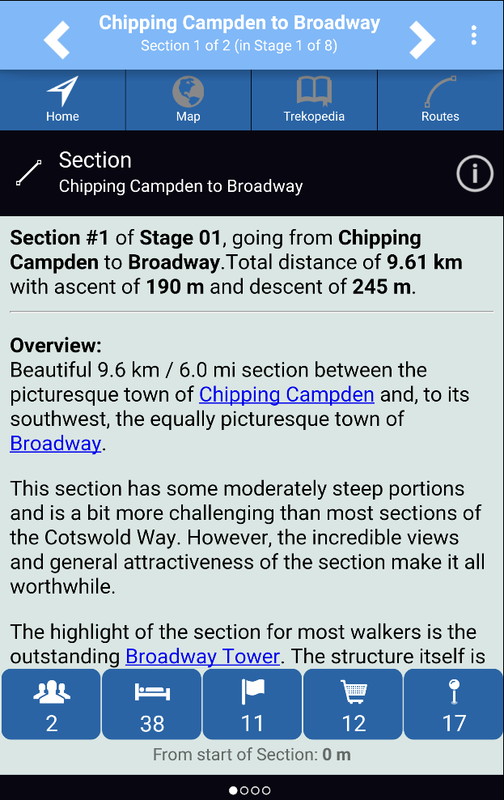 To do the ‘city walk’ within TrekRight, just select it in the Routes listing. We are continuing to actively update the content of TrekRight, for both the Camino and Lycian Way. For this release, there are more updates to the Camino version (about 800! 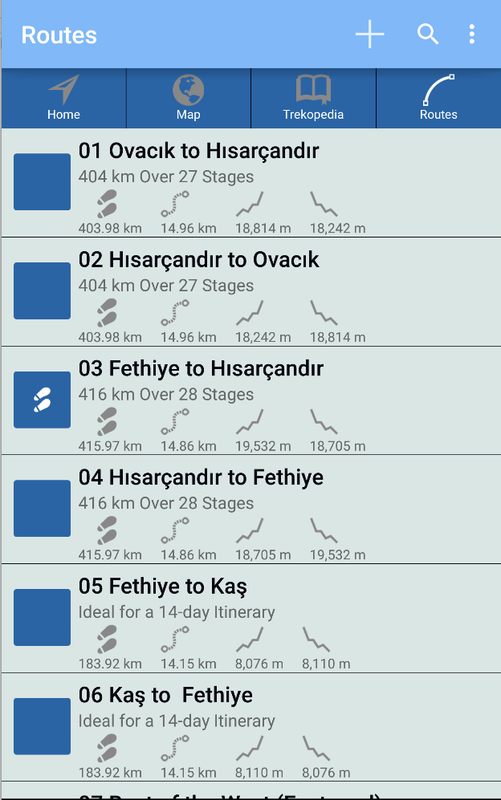 ), though there are also about 200 updates to the Lycian Way version. 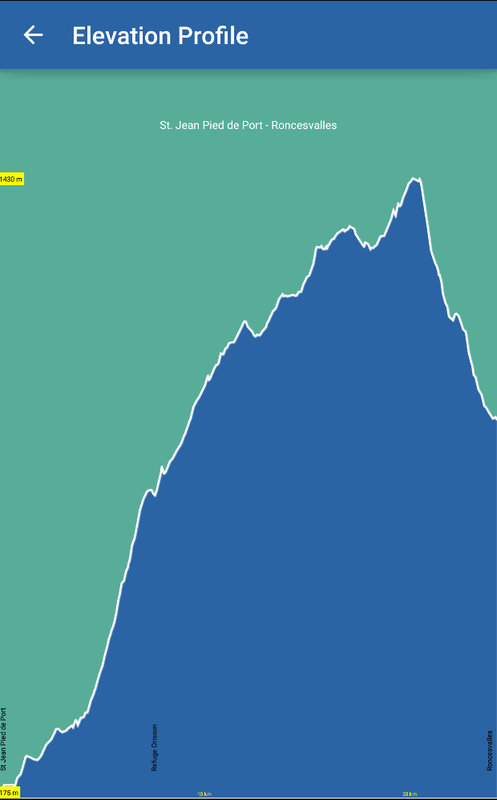 A handful of minor bugs have been fixed and there have been small tweaks throughout TrekRight. Let us know if you encounter any problems or want to recommend new features. TrekRight is being actively worked on, so your feedback and ideas are always greatly appreciated. Of course, all of our content remains available here, online. Contact us any time to suggest content changes, submit photos or other content of your own, or just to chat. Thanks to everyone who sent us feedback and helped with testing for this latest version of TrekRight. I’ve updated the Camino Francés route around Pedrouzo today. The previous route passed directly through the town, which (while common) isn’t actually the official route. Now, the route correctly passes north of town. However, I’ve added an optional detour section that you can take through Pedrouzo if you are overnighting there or if you need supplies. These changes affect Santa Irene to Pedrouzo and Pedrouzo to Lavacolla. The new detour section is here. Visiting Santiago de Compostela (or heading there as part of your Camino)? I’ve created a detailed ‘walking tour’ guide of all the highlights of Santiago, including the major attractions and viewpoints. The full tour is a little over 5.2 km in length and would be suitable as a half or a full-day tour, depending on how long you opt to spend at each attraction. The guide includes walking directions and lots of details on each of the attractions. Trekopedia.com: Read it online, here on Trekopedia (it’s part of our Camino de Santiago section; this link takes you directly to the guide). 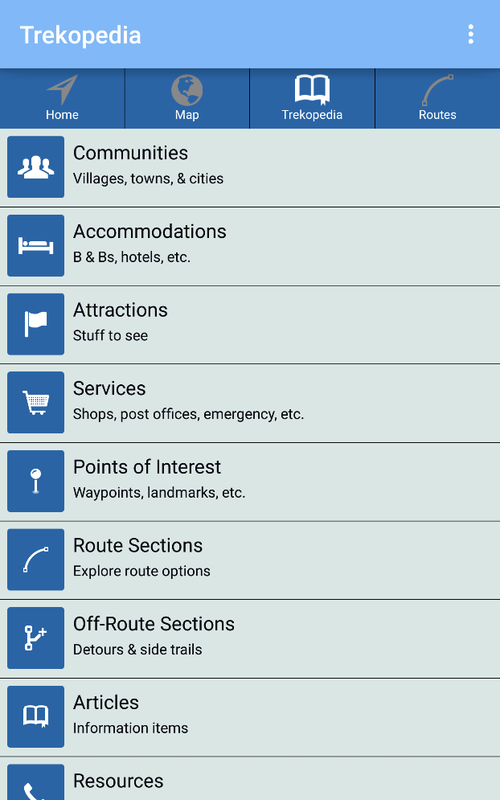 The ‘City Walk’ tour is also included within our TrekRight: Camino de Santiago app. For reading before you go, either the website version or the ePub is recommended. The website is ideal for ‘looking things up’ while the ebook formats are perfect for offline use or if you simply want to ‘read’ the guide (like you would a proper book). The ePub format is best is you want to read the guide on a mobile device (like your phone or a tablet). The PDF version is best if you want to print the guide for reading as a hard-copy. The website has one big advantage, though: it gets updated the most frequently. Thus, if you are looking for reference details such as the hours an attraction is open then the website is likely to be more up-to-date. While you are actually in Santiago, nothing beats our app since it uses the geo-location feature of your smartphone to give you location-aware functionality, includes an ‘intelligent’ compass that shows you which way to go next based on your current location, and so on. Highly recommended! We hope you enjoy our Santiago ‘City Walk’ guide – let us know if you found it useful. Feedback on how we can make it better is always highly appreciated. Finally! Trekopedia is now up-and-running. 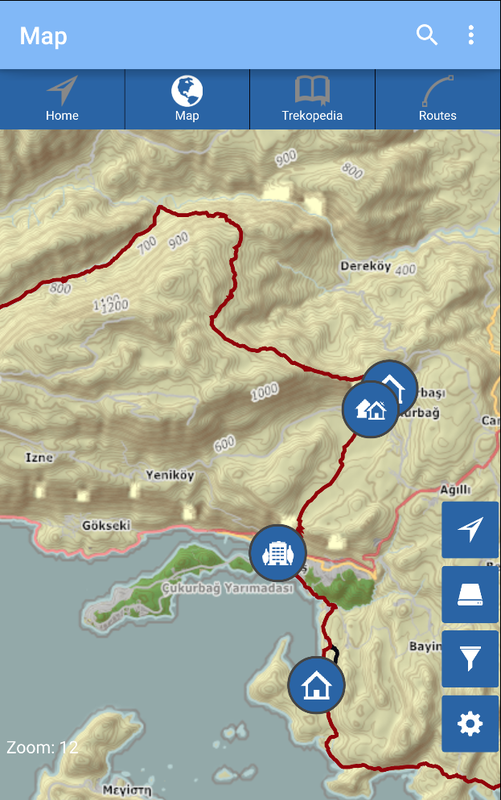 We’ve integrated our existing ‘Caminopedia’ and Lycian Way sites into this new site. Trekopedia will be the home for all of our long-distance hikes and bicycle tours, as we gradually add them. It took us about a week longer than planned due to an aggressive flu bug, but the structure and core content is now all moved to the new site. We still need to upload / organize most of the photos. That will probably take us several weeks – please bear with us on that. Have suggestions on new treks we should add to Trekopedia? Or have feedback on the new site? Let us know!